Yesterday, many of you shared that in some places Verizon’s 4G LTE network was down and Big Red confirmed that there’s an outage and it’s working to fix it. Good news is that the carrier is already done with the repairs and LTE is back to its normal state after nearly a daily outage. “Verizon Wireless 4G LTE service has returned to normal after the company’s network operations team resolved a technical issue,” Verizon tweeted. The outage came at a pretty bad time - just as the carrier kicked off its one year of LTE anniversary campaign. When it works, LTE covers nearly 200 million Americans. Yesterday's issue affected 4G customers who couldn’t send or receive data, but 3G users reportedly didn't suffer from it. Service on some of those with 4G phones has automatically switched to 3G, while others had no service whatsoever. Verizon however claimed that voice calls and texts were still going through. 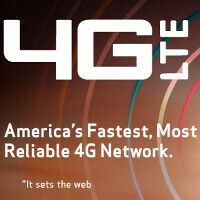 Is 4G LTE on your handset back to fully functional or are you still experiencing some problems? Don’t hesitate to share with us in the comments below. I noticed it go out yesterday but then it just switched over to 3G and worked fine on that. Once I got home I just turned on the wi-fi and stopped caring about it. Haven't really noticed whether it's working on 4G yet considering I just turned off the alarm and headed to work. But I've been able to text and make calls just fine still. From what I've been seeing though most people got it back within a few hours. was this the hold up for the galaxy nexus? maybe still surprise launch tomorrow? Heard about yesterday and had a customer with a 4G handset come in with data trouble unrelated to it (indirect channel in the greater New Orleans market). I also tried to flip my handset over to 4G and had no data connection whatsoever. When in CMDA mode only, I was fine (I'm always on CDMA only about 99% of the time due to poor battery on my charge which I'm well aware of) I also can comfirm from a indirect tech support rep that this outtage was NATIONWIDE concerning 4G which stemmed from 10am CST yesterday morning. Didn't catch wind of this till about 5:30 in the afternoon yesterday. GOOD, NOW RELEASE THE DAMN NEXUS!!!! I was without 4G most of yesterday afternoon and evening in Austin, TX. LTE service is working fine this morning, though. It's back up and smashing speeds again. And yes it works. Thanks. This is why VZW is the #1 carrier in the nation. They wont make excuses. They fix the problem and move on. Oh please... Verizon is the #1 carrier because they acquired Alltel and have the most towers for the biggest coverage area. That's it and nothing more. They're just as bad as the other 3 carriers in everything else and even cheaper when it comes to giving their subs any sort of a bargain or discount. Not to mention it took them an entire day to fix the issue, not a few hours like usual.